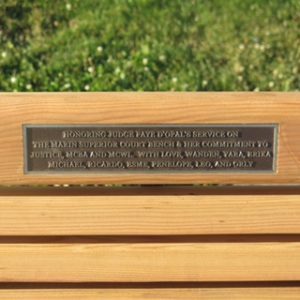 MCWL is pleased to have contributed to the “bench” in appreciation for Judge Faye D’Opal’s years of service at the Marin County Superior Court and support for MCWL. 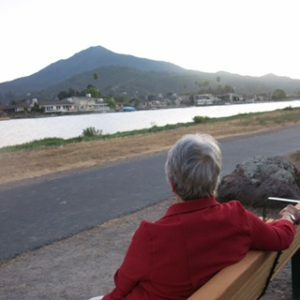 If you have a chance to take a walk along Corte Madera Creek, you will find this bench, with a great view of Mt. Tam, located along the creek behind Bon Air Shopping Center. 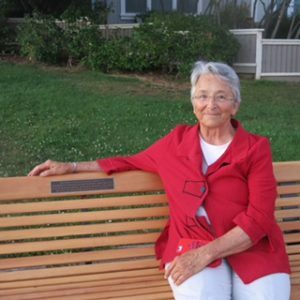 The Superior Court of California, County of SF is recruiting qualified attorneys to serve as volunteer settlement conference officers! Advokids is seeking a Fellow!